Today, I’m going to show you how to run contests with a Facebook Messenger bot to super-charge your contact list growth and generate more leads for your business or clients. Along the way, we’ll check out 10 ideas and contest bot examples to fill your chatbot marketing swipe files. Hot tip: There’s a MobileMonkey contest chatbot template that you can use to quick-launch your own Facebook contest. We’ll take a step-by-step look at the Facebook bot contest template so you can set one up and run a lightning-powered lead generating contest of your own any time. 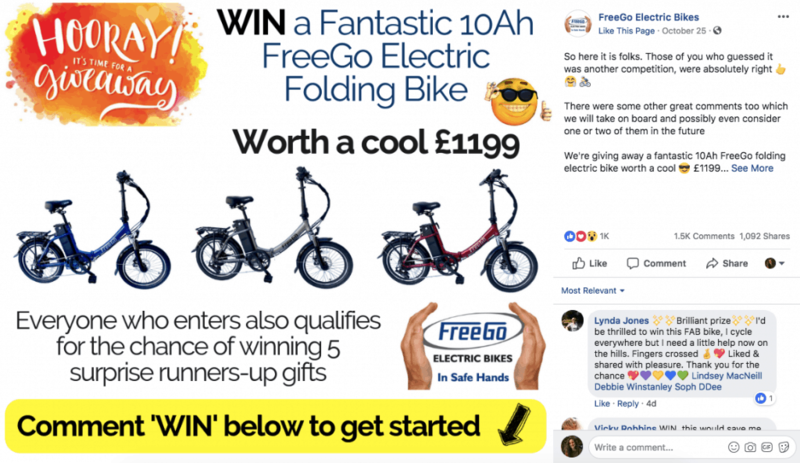 Facebook contests are an effective tactic for generating new leads, getting more fans, and expanding your network reach. But contests with a CHATBOT to do the heavy lifting have even more upside! 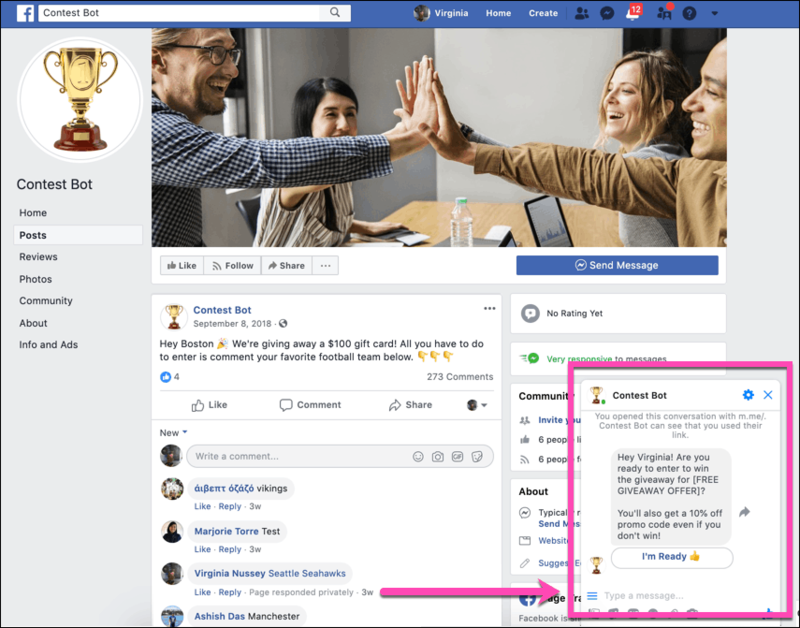 Read on for the Facebook Messenger marketing guide to running supercharged lead-generating contests with Facebook bots. I’d love to add your winning examples to this guide — drop your contest in the comments! Why Are Facebook Bot Contests Such an Effective Marketing Tactic? 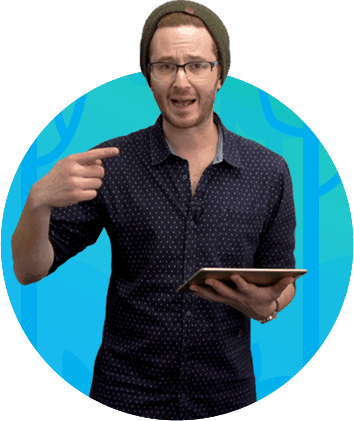 Isaac Rudansky, instructor of the 5-star rated Chatbot Master Class chatbot marketing training series, has designed and run dozens of Facebook Messenger marketing campaigns for all kinds of businesses, clients of his digital ad agency Adventure Media. “I’ve been building chatbots for a while now and the #1 most effective strategy — and when I say effective I mean increasing conversion rate, increasing contact engagement rate — is running contests and giveaways. The prospect of getting something valuable for free is a huge appeal. It also gamifies brand interaction. That taps into a separate psychological element of persuasion. People like to play games, they like to be involved in something, they like the prospect of winning. 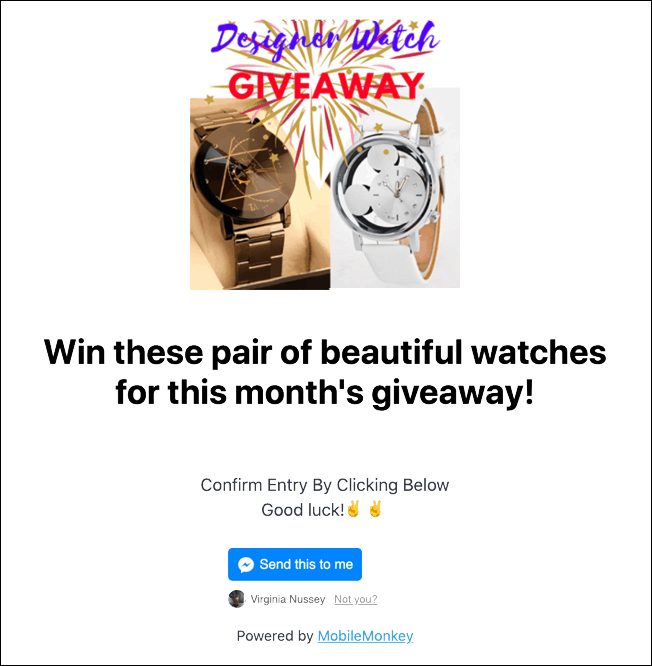 With the super-charged power of contests in mind, here are 10 Facebook bot-powered contest ideas and a sprinkling of real-life contest with bots run by MobileMonkey users! Please send me your chatbot-powered contests to add to this Facebook bot contest guide! And now, 10 Facebook bot contest ideas! They’re loosely ordered from least to most effort required by the folks entering the contest, but these contests are only as hard as you make them. Keep the barrier to entry low (but engagement required!) if you want to maximize new contacts. Want to turn your Page fans into Messenger contacts while attracting viral attention and super engagement? Add a Facebook post autoresponder and turn every comment on the post into a new Messenger contact after they reply to your autoresponder. Users start from the MobileMonkey Facebook Messenger landing page and click the button to start their entry. Post a photo with selection choices to Facebook. Invite people to leave a comment with, you got it, their favorite option. Shout out to the creative team at Valley Hi Toyota for their guess the Super Bowl score contest! The Valley Hi Toyota team posted a video with a comment guard — and Facebook marketers know that Facebook gives preferential visibility to video content! Make a new product launch a community engagement opportunity and a lead generating opportunity by running a contest to name it through your Facebook bot. Captioning some silly, curious or disarming image, GIF or video can be a fun way to invite engagement, and with a comment guard, turn suggested captions into new Messenger contacts. Here’s a comment guarded post on a puzzle that turns every guess at the right answer into a new Messenger contact. If a prize was attached to it, you’d have a killer contest. Check out that engagement! This is pretty self explanatory, right? And rather than one right answer, you may be awarding the prize to the best submission. In this contest, there is a right answer, and it’s probably not common knowledge. When who know the answer, you’re in the drawing to win a prize. 10. Story Sender: Invite people to send in a story of what they’d do if they won! Invite people to share their story! Ask them to send it in via Messenger. This type of contest works from any entry point. What does entry point mean? There are endless ways and combinations of ways to set up a Facebook bot contest entry point. Read more about Facebook bot lead magnets (entry points) in this guide. Next we’ll set up a contest so you can see how it’s done using MobileMonkey. 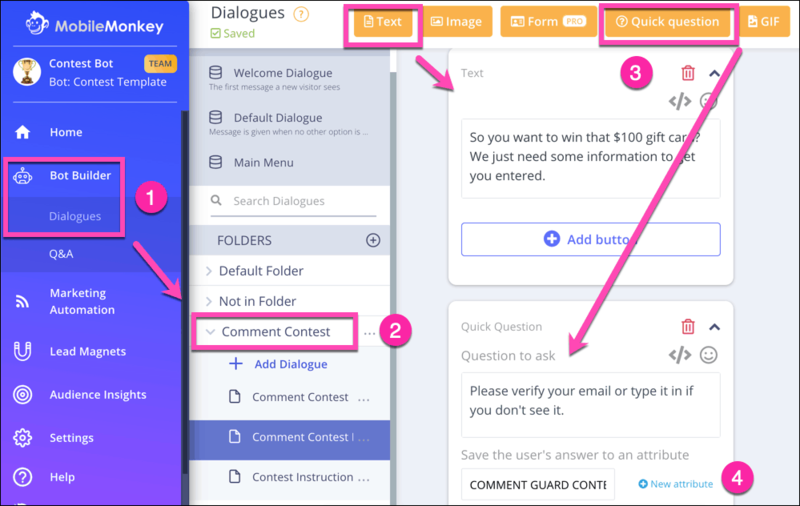 We’re taking a look at the contest chatbot template to get a sense of the entry flow. Step 1: Create the chatbot dialogue flow to collect entries. Ask any qualifying or required questions with Quick Question widget and/or forms. 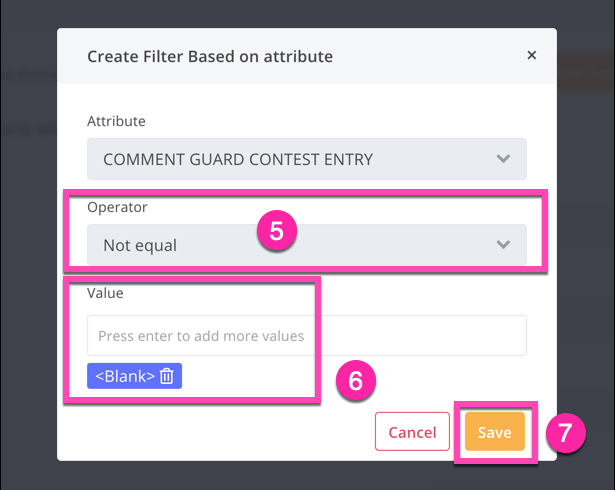 Step 2: Create the entry point(s) for the contest — whether comment guard, landing page, link, button or all of the above. See this contest chatbot template comment guard and landing page entry points as examples of a couple different routes in to the same contest. Step 3: Download the audience of contest entries so you can pick the winner. You could use a random number generator and match it to a row in a spreadsheet. After the contest?! Engage with your new contacts later using a drip campaign or chat blast to send a follow-up message after entry. The free chatbot builder is your powerful tool for creating the dialogue that your chatbot will say when someone enters the contest submission from an entry point. The step-by-step guide to how to build a bot in minutes is there. We’ll do a 2x-speed version here. Go to Dialogues in the Bot Builder. Create a new folder to contain all the dialogues for this contest entry funnel. Then click “Add Dialogue” within the folder. Add content to the dialogue with the drag-and-drop-widgets. Ask any qualifying or required questions with a Quick Question widget that let’s you ask a single question and specify the type of answer they can respond with (like text, an email address, or a phone number). Important: Be sure to save an attribute to the quick question that confirms they want to enter the contest. It’s this attribute that will let you create an audience to view the entries later. 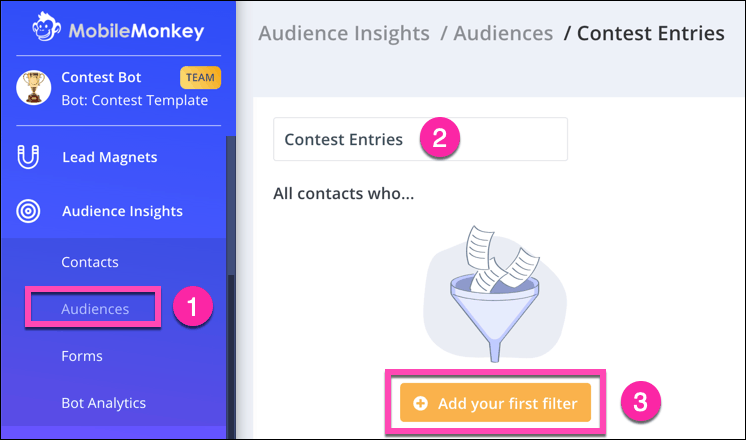 You can set up pretty much any of MobileMonkey’s 8 built-in lead magnets as the entry point into finding, sharing and jumping into your Facebook bot’s contest entry dialogue flow. 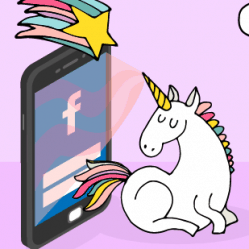 All the lead magnets are explained in this guide to Facebook Messenger contact list building. In the contest chatbot template, you can test the comment guard and landing page entry points as examples of a couple different routes in to the same contest. 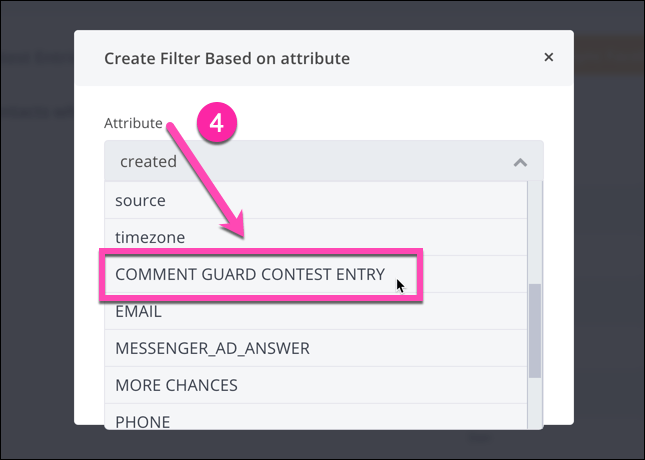 For this Facebook bot contest tutorial, we’ll do a close up the comment guard entry point. 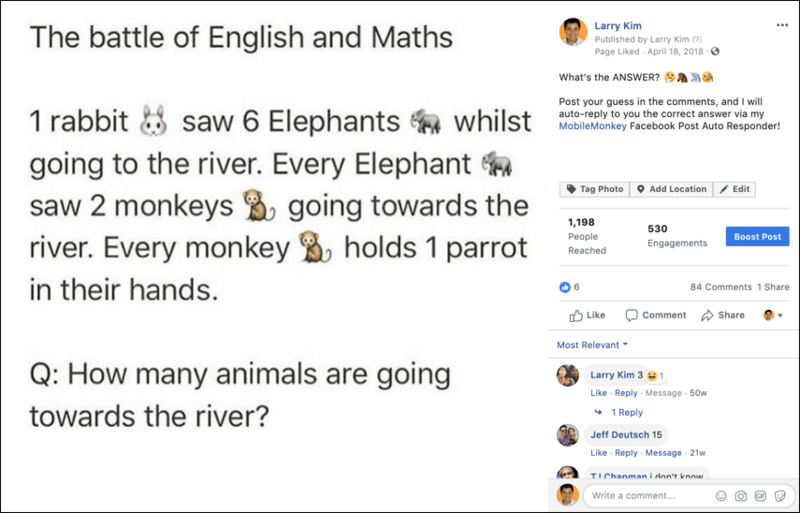 Here is Isaac Rudansky, world’s best chatbot marketing trainer (imho), on how to set up a Facebook post autoresponder (comment guard) using MobileMonkey. Go to Lead Magnets and select FB Comment Guards and then create a new comment guard. Choose the Facebook post from the drop down of recent Facebook posts to your Facebook business page (you’ll probably have to first create that previously). Step-by-step set up and examples for comment guard Facebook post autoresponders with bots is here. 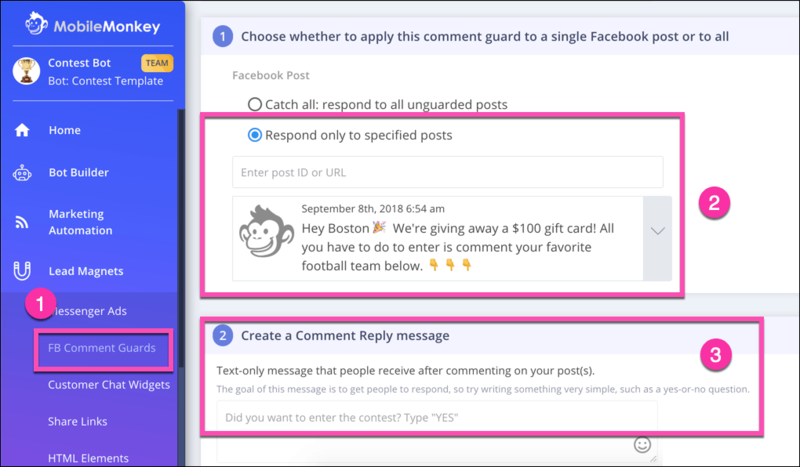 Write the initial autoresponder message someone who comments on a post will see first in Messenger. Pick the dialogue you created in Step 1 from the drop-down to program the next step in the conversation after the initial post autoresponder. Set a frequency cap, or how often in any given period someone will see the autoresponder if they comment on the post multiple times. When your contest is over, you’ll need to pick the winner! See everyone who entered your contest using MobileMonkey audiences tools. Go to Audiences under the Audience Insights menu. Create a new audience, choosing the audience by attribute option, and then name this audience. Click the button to add a filter. Choose the operator, which is going to be “equal” in most cases. (In our example here, we’re using the operator “not equal” and we’ll use the value “blank” in the next step”. The contest template example is a little funny because the opt-in Quick Question asked people for their email address as the confirmation to enter rather than asking them to answer “yes” or something like that. Still works. Choose the value to match the attribute and operator. (Like I said, here we’re filtering on everyone who filled out this question by choosing everyone in our contact database who does not have a blank answer. Finally, hit that beautiful “save” button. Your audience filter is now applied. When you’re ready to view everyone in this contest entry audience and their responses, hit the “export” button and the audience and all their contact info will be saved to a CSV file on your computer. To pick your winner from the spreadsheet, you could use a random number generator and match it to a row in a spreadsheet. Or do some other selection process that makes sense for your goals. More on Facebook Messenger contact attributes and creating audiences is here for you. 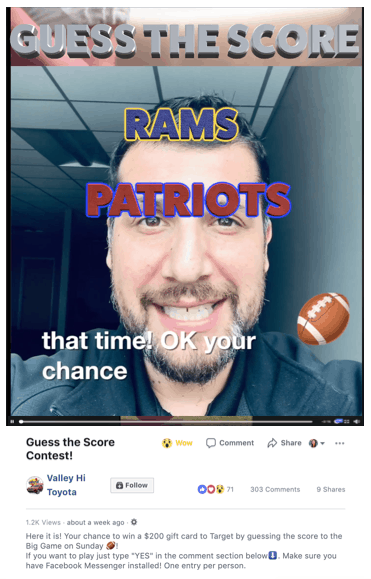 Before we all this guide to running super effective lead generating contests with Facebook bots complete, it’s important to note what happens after the contest is over. Building your list is using the many built-in MobileMonkey Lead Magnets is the first step in Facebook Messenger marketing. Follow list building up by nurturing your relationship and connection to your new contacts. Set up nurturing drip campaigns for this audience. Drip campaigns are a sequence of timed messages you send to an audience. They’re great for introducing your brand and solution to new leads and educating and onboarding customers. 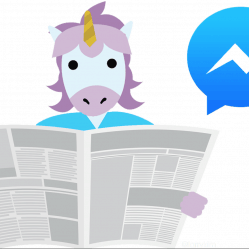 Check out our guide to Facebook Messenger chatbot drip campaigns here. Send engaging chat blasts to your contacts. Chat blasts are like email blasts but with 20x higher engagement (open rate) and 10x higher response rate (click-through). Send news updates and promotions through chat blasts and send high-intent converting traffic to your site. Review the guide to sending Facebook Messenger broadcasts (chat blasts) here. Now your new contest contacts are on the road to becoming your next happy customers! Have you run a contest with a Facebook Messenger bot as your friendly automated assistant? 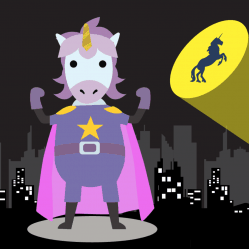 You can do everything described in this guide 100% free with MobileMonkey! Get started with the most exciting and engaging marketing communication channel there is. 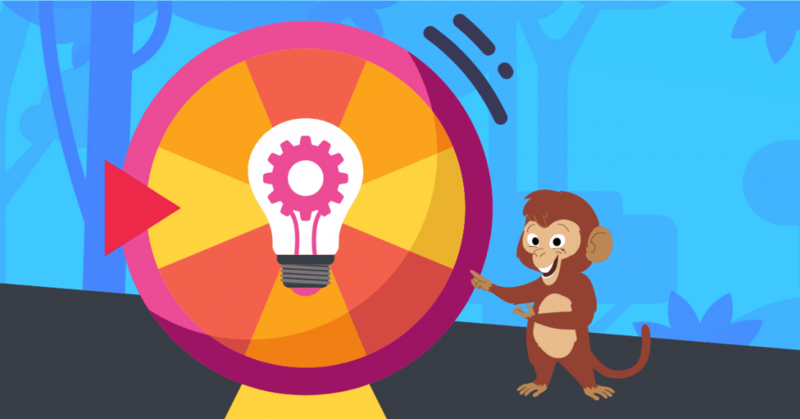 Get MobileMonkey free today! 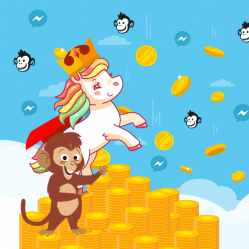 Get MobileMonkey for FREE — the fastest-growing official Facebook Messenger marketing automation platform provider partner! Sign up for occasional Facebook Messenger Marketing tips via Facebook Messenger for more like this tutorial in your Messenger inbox! Join the private MobileMonkey Island community and tens of thousands of marketers sharing chatbot marketing campaigns, and questions — asked and answered! MobileMonkey! I tried a giveaway like this and was immediately flagged as low-quality. Once flagged, I couldn’t get the post un-flagged. Can you touch on what makes a post low quality and how to ask for engagement WITHOUT getting flagged? Hi Jake, yikes! Sorry to hear that! Facebook does have some rules of contest/giveaway/lottery promotion. This Sprout Social piece has some legit recommendations/suggestions/look-out-fors: https://sproutsocial.com/insights/social-media-contests/. Let me know if that helps clarify anything or if it’s still a mystery when you consider what your contest wording was. Hi Jake, How were you asking them to engage? You don’t want to tell them what to comment. 1. I just got done eating an amazing slice of pizza with pineapple, Jane and onions. What’s your favorite topping? 2. I love to work out, especially on the bench press. What’s your favorite workout? Make it conversational and it shouldn’t get flagged.